Disruptive innovation is everywhere it seems. There’s an ongoing fixation with the next Uber, Netflix, WhatsApp or Airbnb. Even perennial technology darlings such as Twitter or Facebook seem, well, so yesterday. It’s intoxicating, heady stuff as one technological change can seemingly transform an industry and lead to growth rates going through the roof. But for every game-changing success there are thousands of failures which are not so glamorous. The lesson therefore is to dream big but to have some perspective. I play golf for example but there is only one Tiger Woods (who is currently being disrupted by Rory McIlroy and Jordan Spieth). This does not mean that I cannot go out and enjoy a game of golf with friends. But there is another lesson for all small and medium business owners from the stories about disruption. It ignores the small changes that can make a big difference. Think of the Qantas program “Change for Good” for example. This is where passengers are invited to give their spare change to UNICEF in specially marked envelopes. The Change for Good program has been running on every flight, every day for 23 years and has raised over $30 million dollars. It’s a small change that over time has delivered a big pay-off. Or consider Coca-Cola’s “Share a Coke” campaign which started in Australia and is now being rolled out around the world. This is where Coke bottles are customised with the 250 most popular first names of teenagers and Millennials. This hugely popular campaign does not involve a completely new product, channel or business model but a small degree of customisation. You do not have to be a big brand to practice what I call Small Wins Innovation. Consider the example of the Como hotel in Melbourne where I recently stayed. On the whiteboard behind the reception was a hand-written scrawl from one of the members of Australian rock band INXS saying how much they enjoyed the Como hotel experience. This was a small gesture that made guests and no doubt staff feel quite special. Or consider the example of my local garage that left a note on the dashboard saying thank you for using their services. 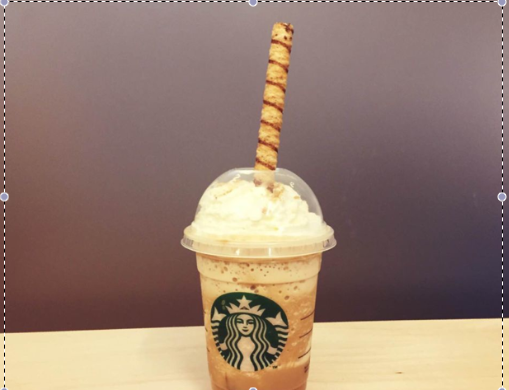 Or think about Starbucks in the US that offers an edible Cookie Straw. In this example even the smallest feature can make a big difference. My point is this: Innovation does not always have to be disruptive. It can also be faster, easier and more engaging for staff and customers. How to innovate can be achieved one small win at a time. There is another big advantage in this approach. Just like when you have your first child you suddenly notice that the world is full of the most amazing little people. Or you buy a new car and every second one on the road seems to be the same as yours. Armed with this mindset you will suddenly see small ideas everywhere you go. I recently worked with an Adidas management team in Hong Kong and asked them to visit a nearby Starbucks and come back with three small things the coffee giant was doing well. Even the most battle-weary executives came back brimming with new ideas which they could then apply or adapt to the Adidas brand. This example also illustrates the true nature of innovation. You have to search for new ideas rather than waiting in your office for inspiration to strike. It’s also about trying to make new connections between different brands, customers, markets and industries. The Small Wins Innovation approach is the ideal way to make big things happen. Sometimes our goals seem too big and intimidating but if you can lop them down into bite-size milestones than you can make a start, ensure progress and gain momentum. Running in the City to Surf for example can be a daunting prospect if you have not exercised for a while but starting six months before the big event by going for a walk around the block is much more achievable. The next night you go for another slightly longer walk and so on. One small wins leads to another and before you know it you have achieved your goal. The small wins approach is the ideal way to bring about much needed change in the long term whilst generating wins in the short term. Small Wins Innovation also means that you can try lots of little things and see what happens. And to borrow the lyrics from a Paul Kelly song – “from little things big things grow”. Innovation does not always have to be big, disruptive or expensive. Using a Small Wins approach offers a way to innovate which is fast, easy and sustainable. Dr Ken Hudson has a PhD in Organisational Creativity and has written three books on idea generation and speed thinking which have been published in nine countries.